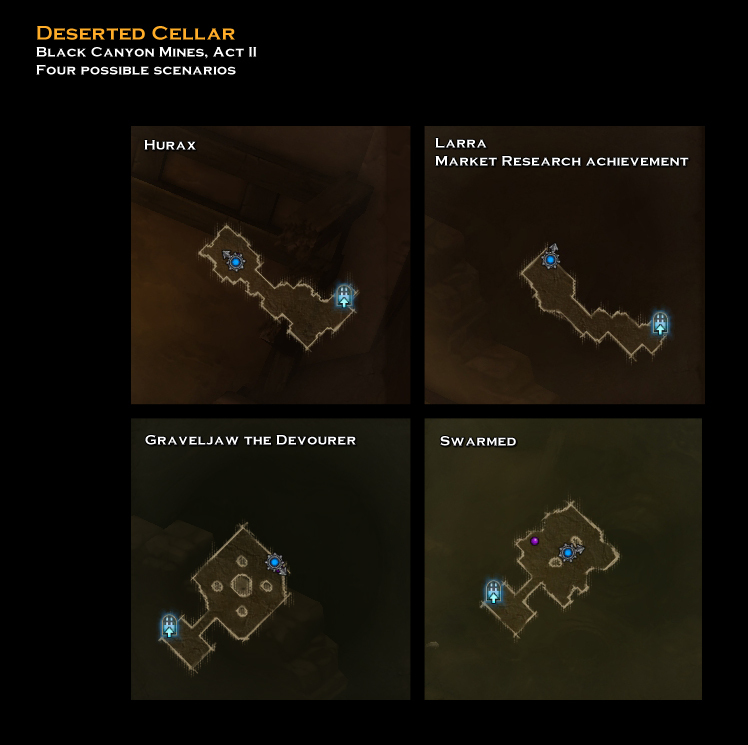 The Deserted Cellar is a very small dungeon found in the Black Canyon Mines of Act II. There are four possible configurations each with a different scenario of events. This page was last edited on 1 March 2013, at 23:23.